The eight sectors, which comprise of crude oil, natural gas, coal, refinery products, fertilisers, steel and cement, had expanded by 3.9 per cent in May 2017, and 4.6 per cent in April, 2018. 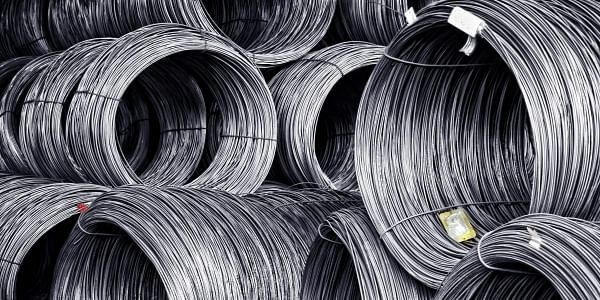 NEW DELHI: A sharp slowdown in the steel and cement sector growth rates, combined with the continuing decrease in crude oil and natural gas production, has seen growth in eight core infrastructure sectors decelerate to 3.6 per cent in May -- the lowest in 10 months. The eight sectors, which comprise of crude oil, natural gas, coal, refinery products, fertilisers, steel and cement, had expanded by 3.9 per cent in May 2017, and 4.6 per cent in April, 2018. The previous low for core sector growth had come during the Goods and Services Tax's (GST) first month in existence -- July, 2017 -- when it clocked 2.9 per cent. While part of the slowdown in May was due to the steady decrease in productivity of Indian crude oil and natural gas production, data shows that another major factor was the sharp fall in steel and cement sector growth. According to data from the Commerce and Industry ministry, the crude oil sector has been contracting through most of last year, with January, 2018 seeing a contraction of 3.2 per cent. While the contraction slowed during the next few months to 0.8 per cent in April, May saw it worsen to 2.9 per cent. The cement sector, meanwhile, has improved vis-a-vis the same month last year standing at 5. 2 per cent compared to -1.4 per cent. However, it has sharply declined from April, 2018, when it had grown at 16.5 per cent. The steel sector, on the other hand, saw growth shrinking to 0.5 per cent in May, 2018 compared to both May, 2017 (3.8 per cent) and April, 2018 (3.8 per cent). Steel sector growth has steadily fallen since February (5 per cent) and March (4.7 per cent) this year.